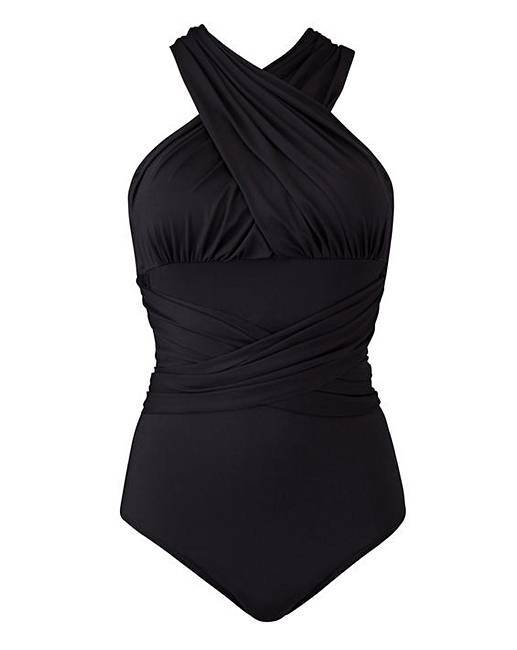 Magisculpt Black Convertible Swimsuit is rated 4.3 out of 5 by 18. 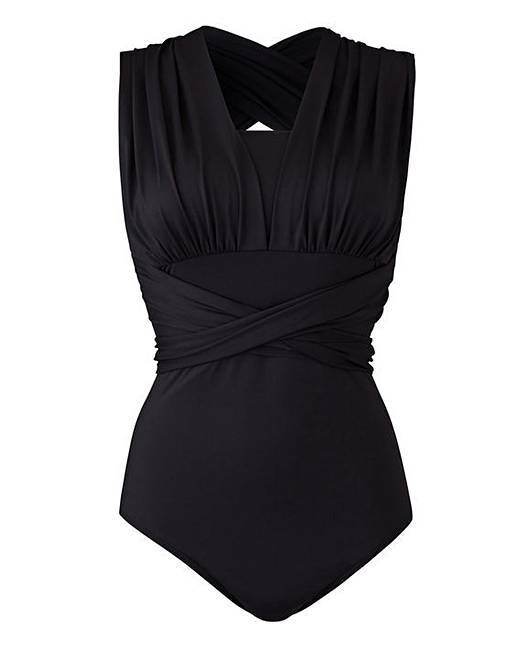 Meet the LBD of swimsuits! The Convertible Swimsuit from Magicsculpt offers endless possibilities of ways to wear. With six different ways to switch up your style, this versatile ‘suit is your new swimwear saviour. Featuring standard small removable and adjustable straps, medium control and fixed foam cups within the bust shelf. Rated 5 out of 5 by Olivia93 from Love it! Love it, fits great and it is really flattering. Love the diversity with the straps. Just have to be careful when it comes to getting funny tan lines! Rated 3 out of 5 by Charchar from OKish... Expensive not worth the money I've brought this for a spa weekend so wanted something more fashionable. I read that it has support but it really doesn't. The material is very cheap and just not worth the money. I think if your skinny it would look lovely but it's nothing special. If you have money to waste buy it but if you want a luxury one peice. It's not worth. I'm size 18 to 20 and brought 20. Fits OK ish.. Not good for large bust. Rated 5 out of 5 by Heidi from Great costume The wraps on this are really long, giving you plenty to play with when styling it. Very comfortable and true to size. I'm a size 26 and it fit lovely as a swimsuit. 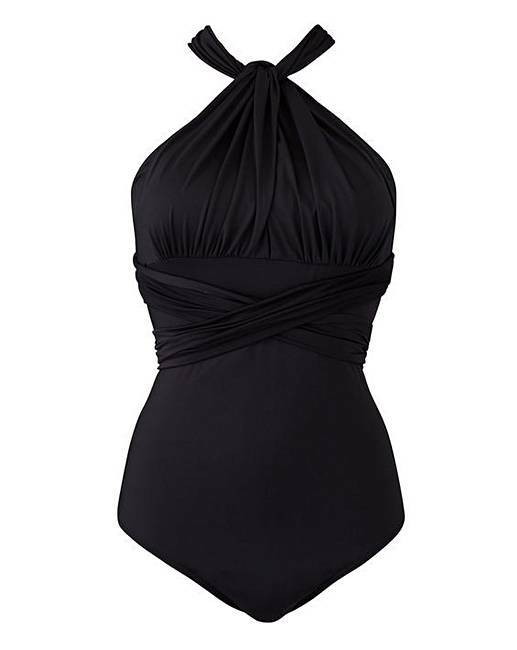 Rated 5 out of 5 by Simsimma from The best swimsuit ever! Flattering, looks really expensive and is extremely versatile. Got so many compliments and I felt comfortable and gorgeous in it.The best swimsuit I've ever owned! 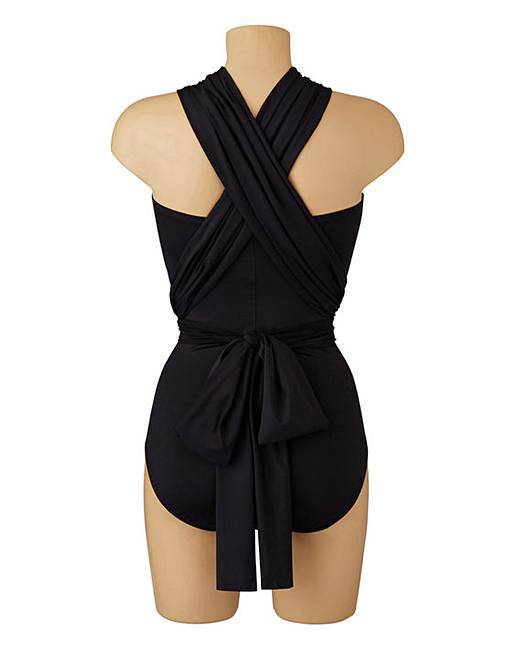 Rated 3 out of 5 by Mrs K S from Great style swimsuit This is great looking and makes a statement. However, it doesn’t have enough support on the tummy like the others from Majisculpt. 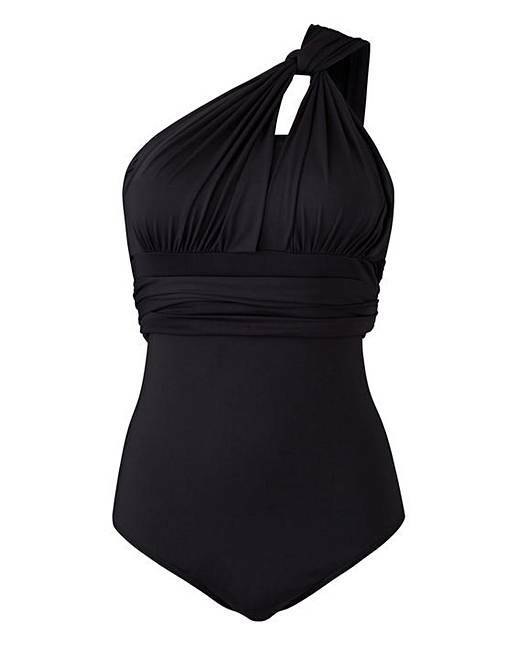 Rated 4 out of 5 by Nitty from Lovely shape and I love the versatility I needed a new swimsuit, so ordered several to try. 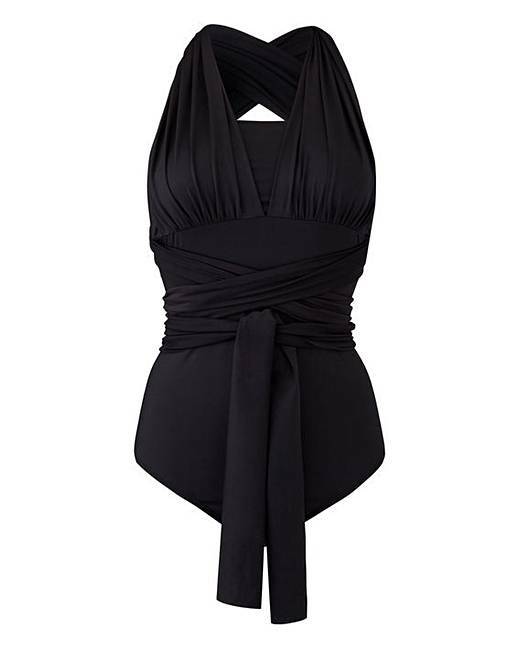 I love the versatility of this swimsuit and think it will be great over the Summer. Looking forward to lots of different looks, all from one swimsuit. Rated 5 out of 5 by Polly P from Great value for money Tried many costumes various styles and prices. This one was my number one choice, so comfortable and very flattering. Can be worn many ways. Would definitely recommend. Rated 5 out of 5 by Deborah from Really nice costume Arrived today and I love it. I'm a size 16 but ordered 14 and fits perfect! Very flattering too.